Sydney, Australia – In partnership with progeSOFT CADDIT announced today announced the worldwide release of progeCAD Professional 8.0.22. This important upgrade offers several minor performance, reliability and DWG-compatibility enhancements. Over five months in development and testing has been invested in the release of 8.0.22. This upgrade is free to all progeCAD Professional 2008 stand-alone, network, USB and corporate customers. A known problem was fixed involving "create as new layout" with certain AutoCAD DWG files and "copy layout" commands, possibly causing the loss of existing layouts. "Copy quick" issue with "paste as a block" has been fixed. Print files extension is now ".plt"
A full version of this update in functionality can be downloaded from http://www.caddit.net/auto-cad/AutoCAD.php . There is also a smaller patch executable that will update a currently existing installation using the built-in progeCAD Professional update function. progeCAD Standard and progeCAD Smart upgrades will be released at a later date. CADDIT Pty Ltd, an Australian owned company, locally supports progeCAD and many other CAD CAM CAE products. 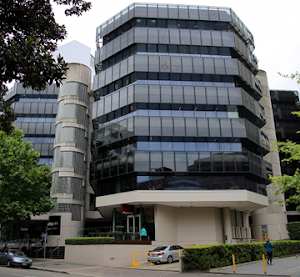 Their head office is located in the Liverpool Fairfax Building in western Sydney. They can be contacted via their website at http://www.caddit.net/ . The full version of this article can be found here. progeSOFT Como, Italy has been specializing in CAD for the last 20 years and is an executive member of the IntelliCAD® Technology Consortium. They can be contacted via their website at http://www.progesoft.com/ .